You must make reservations at least 5 minutes in advance of the time at The Marshal. The Marshal Catering creates a full and personalized dining experience. We’re happy to host you in our restaurant in Hell’s Kitchen, accommodating parties of up to thirty guests. We also provide both full-service and drop-off catering to your corporate and social events. With sustainability and freshness at the core of our business we source from local farmers, wineries, and distilleries; supporting our local community and giving you and your party a true New York food and beverage experience. Vegan and Gluten-free options available. 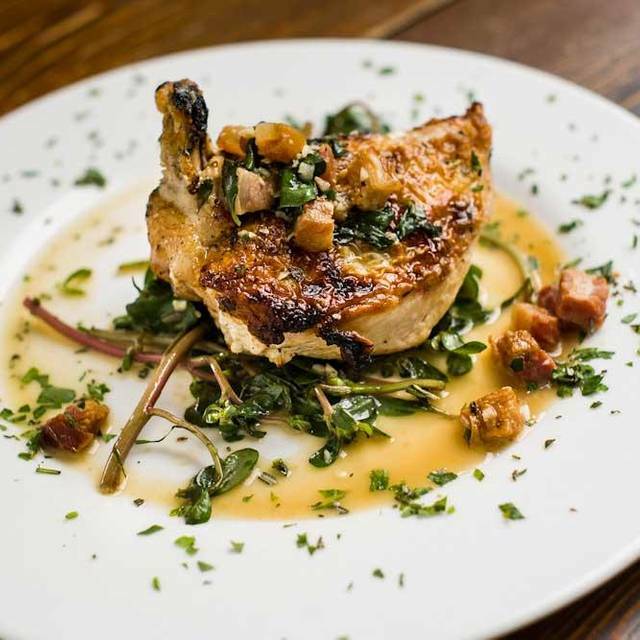 The Marshal focuses on producing brick-oven cuisine by using sustainable and renewable energy and items from local farmers, wineries and distilleries. It even uses local apple and cherry wood to burn in the wood-fired oven. 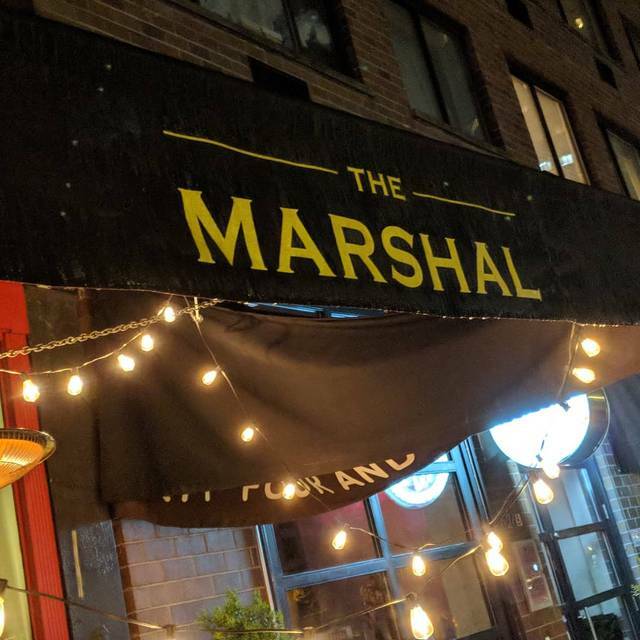 The Marshal serves brunch on the weekends and federal holidays, and it serves dinner every day of the week. The menus change daily, depending on seasonal items that are available. 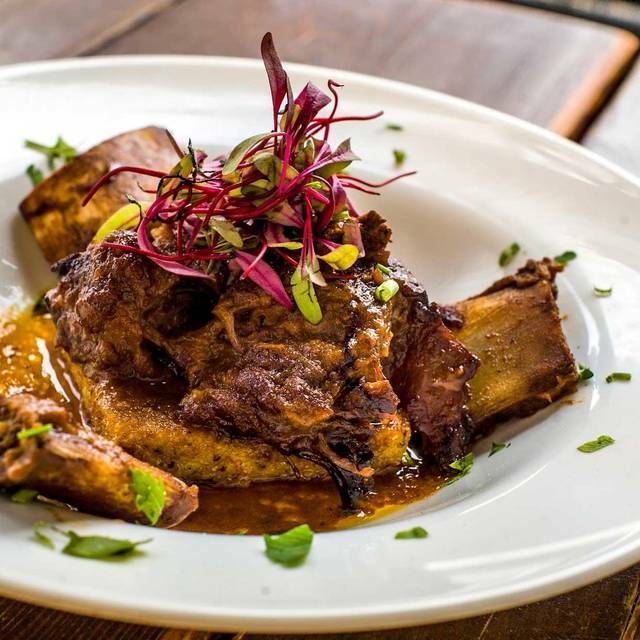 A sample of the menu items includes goat cheese and herb stuffed bone-in chicken breast, wood-oven braised sirloin tips and bourbon molasses BBQ pork ribs. The Marshal offers an extensive cocktail, liquor and wine list including white, red, rose, library and dessert wines. She deserves a meal as special as she makes you feel. Say thank you for the late nights, and the carpools, and all the balanced meals. Treat her to a delicious and and locally sourced, farm-to-table brunch or dinner at The Marshal. Reservations available now. The Marshal had everything I typically like - interesting menu, locally sourced ingredients, great atmosphere. But it was very disappointing. The food was at best average and priced as though it was great. We had an assortment of foods - the mussels were in a thick and unappetizing cream sauce. The salad was anemic. Deviled eggs were terrific. Finally, I love the focus on local ingredients, but the wine list was all NY wines and if I'm having a nice and expensive meal, I want to drink good wine. With all the great choices in NYC, I wouldn't go back or recommend it to anyone. This is a good place to have dinner before or after seeing a Broadway show. On a recent visit, the cauliflower soup was novel though a little on the bland side. Main course fish dish was very good. Smashed potatoes in duck fat were not at all smashed. (The whole point of smashing them is to provide more surface area to get crisp as the potatoes cook in oil.) These were just boiled (?) potatoes sitting in a little duck fat... A big disappointment. Overall, a good meal, but could have been much better. Although the restaurant is very small, the experience of dining at The Marshal was exemplary. The wait staff was professional and friendly, the food was beyond delicious, and the suggestions made for dinner selections were perfect. I highly recommend a visit to The Marshal! A very small space but a unique choice for the theater district. 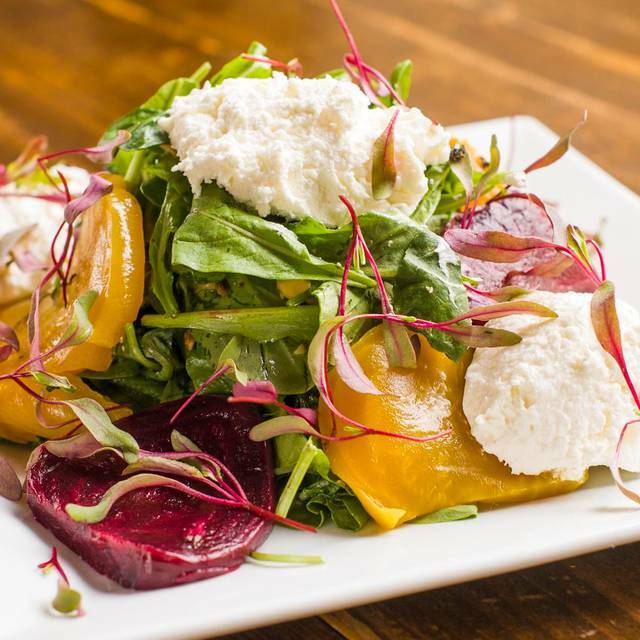 The menu is sourced from local farms and businesses mostly from the Hudson Valley. We enjoyed our meal and will definitely add it to our list of go to places pre-theater. We were staying midtown so wanted a restaurant nearby. We saw that the Marshall had good reviews so decided to give it a try. I’m glad we did. The food was excellent and the service likewise. We were recommended a local NY State wine which went really well with the food. All in all a good choice. Our favorite go to place in the neighborhood hands down!!!!! 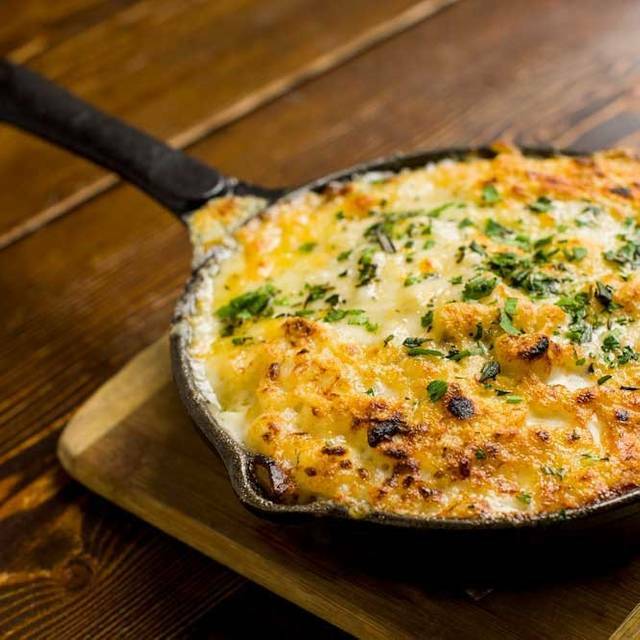 The Marshal is a great neighborhood find. More important, the food is excellent, and they are serious when they say "local" and "farm to table." Not just meat and veggies, but wine and spirits exclusively from New York state. Nicely done people. And yes, I had the meatloaf, paired with a bordeaux-blend from the Finger Lakes. Just what the doctor ordered. Service was fair. Cocktails were bad. Can’t do basic cocktails, not on the menu. Food was heavy and bland. The menu looked great but overall very disappointing. Was the worst meal we had during our vacation. The food and service was great! It is a very small restaurant, but still allowed for private conversation. The food was good. But the place is over priced, too overpriced for what you get. If you want to charge that price point in Hell’s Kitchen you have to differentiate your menu offerings further. 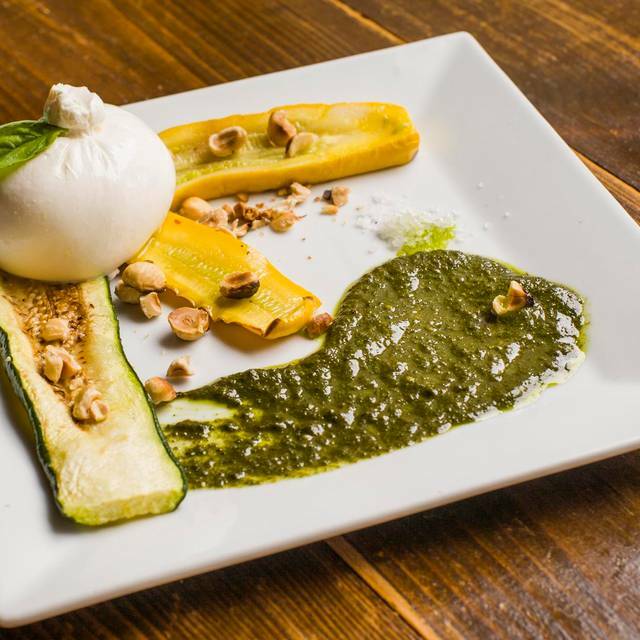 Much of the items you offer are also served at other Italian restaurants and wine bars in the area, including your own wine bar down the block. I expected a menu that was a bit more creative at that price point. This is a superb little place serving a well thought out menu. Classics such as meatloaf and mac and cheese are made with really delicious ingredients. 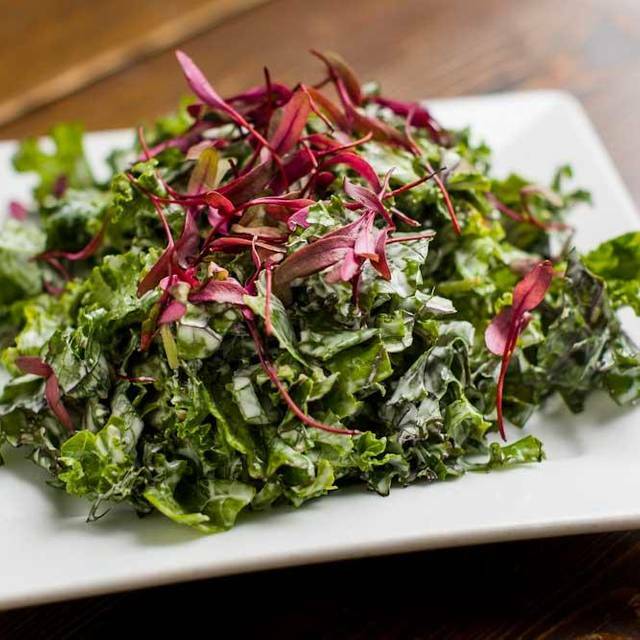 I especially enjoyed the three kale salad. The food was amazing! Our 2 kids even loved everything especially the Mac and cheese. Well done Marshal! Great little place! Everything was delicious and fresh. Definitely small/cozy. I really wanted the food to be better than it was. The biscuit was dry. We tried 3 different entrees and none were seasoned well. Such a cute place, with a great staff. Wish the food had been better. Waiter was fabulous! Antonio? I think was his name. Server was knowledgeable and ambiance was comfortable, candle-lit and cozy. Would have liked to be told how large the servings were as the meatloaf would have fed 3. It was just ok. But Cocktails, salad, polenta side dish and Mac n cheese were amazing. Good food, GREAT service. Had a lovely pre-theater dinner. Great place and local cuisine. Excellent service. Food is well prepared, tasty and nicely presented. Portions are ample, everything I believe is done in house. The wood burning oven is a real bonus. Staff is great, especially Antonio. It was the perfect dinner date for a perfect birthday weekend. The food was amazing. The service was fantastic. And the food was just out of this world. I can still taste the meatloaf. Way overpriced. Fresh food but nothing special. I've had better at chain restaurants. Our first time here. Went prior to theater. Sat at counter at bar. there are only 3 stools and we did not have a third sitting with us. Interesting menu and decided to share various appetizers. All were delicious and will be back again. Ambience was great as was the service. I just found the food to be OK. My fish was a bit on the tough side. The meatloaf, a specialty, was huge and also just OK. The brussel sprout salad was really good, the best item we ordered. If you want a big filling meal, you will definitely have one at the Marshal. If you want refined cooking that will entertain your palate, this isn't the place. It was good, just not fantastic. Great find in Hell’s Kitchen. Cozy setting- all NY state ingredients on the menu. Delicious food. Lovely cocktails. Delightful ambiance. Will definitely return. It is always hard to go for American fare in NYC with so many ethnic choices but I am glad we visited The Marshal. Greens were as flavorful as any I've ever had, the burrata was mouth watering and my husband loved the meatloaf. Desserts were also amazing, as was the service. Waitress was attentive and extremely knowledgeable about the food and wine. This was truly a memorable meal! 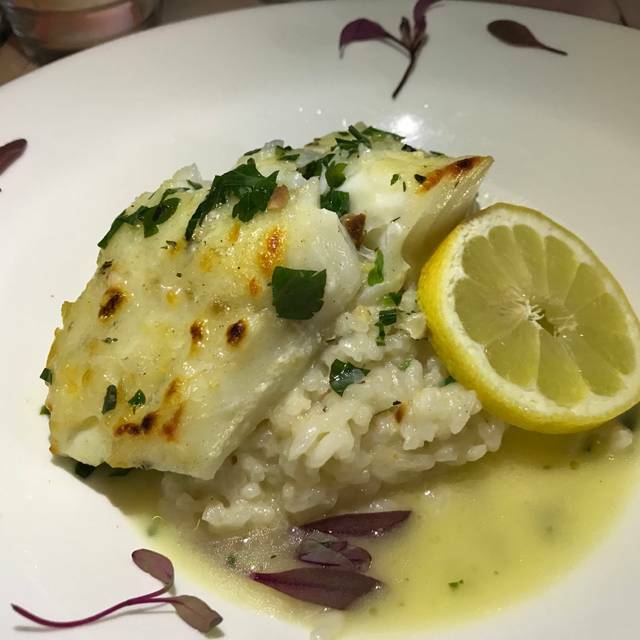 Cute, small neighborhood place turns out to be overly crammed, characterized by brusque service, and inconsistent portion sizes (my entree was very large while my friend's fish was anemically sized). Later, the bill was presented with speed unbecoming of a restaurant of this price point. I can imagine how the Marshal could provide diners with a superlative experience; unfortunately, our reality failed to realize any of this potential. Read the reviews and decided to give it a try before seeing a show around the corner. We were not disappointed. It is a small space but oh so inviting and cozy. Theo was our host and waiter and he was outstanding! (Of note: photos on the wall are taken by Theo himself. Impressive!) He was masterful, tending to all of the tables. He spoke with us about the menu and his recommendations (choices and sizes) were spot on. 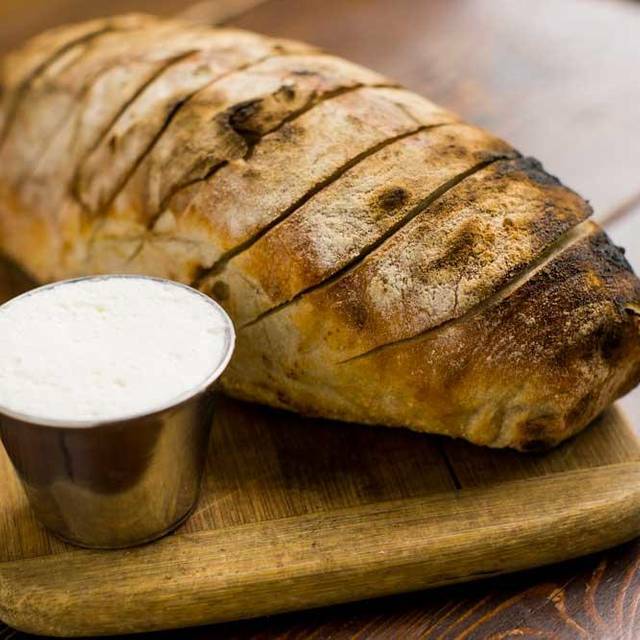 I'm still thinking of the Burrata and French Loaf! YUMMMMMM. My daughter and I shared an order of Wood Oven Mac N Cheese, Roasted Piped Mashed Potatoes, and Greenane Family Farm Pork Meatballs. Comfort food at its finest. Capped it off with some of the most delicious Cappuccino's we've had outside of Italy! Excellent all the way around. the food was wonderful, so fresh and original. Defiantly tasted farm to table. We loved the cocktails. The service was professional. It has a warm and cozy home like feel to the restaurant. We plan to come again. This is a go-to favorite! Family is coming into town in several weeks and this is on my list. They’ll love it!